The latest eye makeup trend is pretty spotty ” and it looks really fabulous. 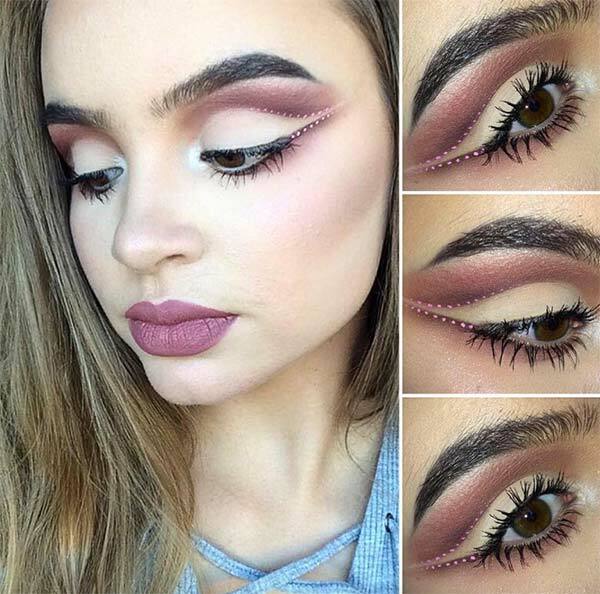 Eyeliner is one of the most versatile beauty products because you can make so many different designs or textures with it. This time, the dotted eyeliner trend is all about creating texture and easy designs. It’s super simple to try out, but it’s a beautiful boost to your standard eyeliner styles. Grab your go-to black eyeliner and create your favorite classic style, but instead using a pointillism technique. Or go for a more unexpected white or colored liner to try out something new. Liquid liner will stick the best, but you might consider starting off using a pencil first since it’ll be easier to wipe off if you make a mistake. But you can always use the liquid liner over the pencil when you’re done making the base, if you want ” it’ll still look amazing if you don’t, but it will give you the boldest and longest-lasting result! No matter which way you do things, the result is going to be glamourous and modern without being too distracting. It’s a simple yet bold elevation to your current look that you’ll be fawning over once you try it out. Here are 11 stunning dotted eyeliner looks that have us excited for this trend to really take off. The outline of this eye look is just like the classic, glamorous cat eye, but the dotted eyeliner adds in a stunning texture. It’s subtle enough, but the more you look at it, the more enticing it is. It’s a great way to incorporate the stunning new trend with one of your go-to eyeliner styles. Dotted eyeliner can also be used to highlight your other eye makeup choices. In this case, the delicate pink dots are creating boundaries for the smooth, lightly colored shadow. 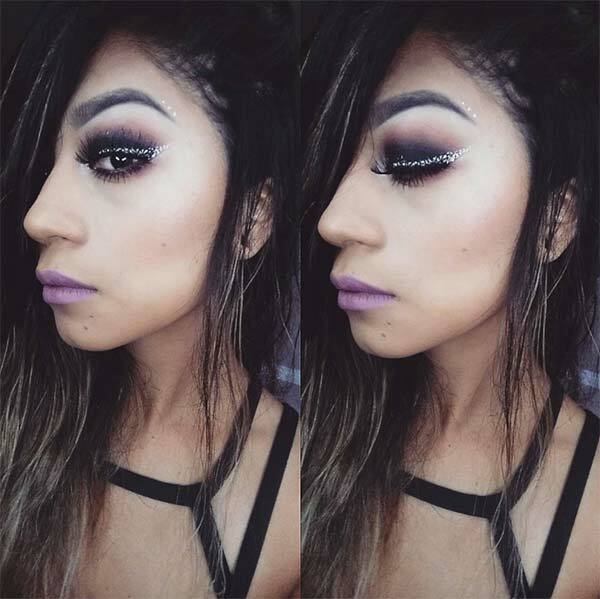 Some extra texture and color make the whole eye makeup look pop. 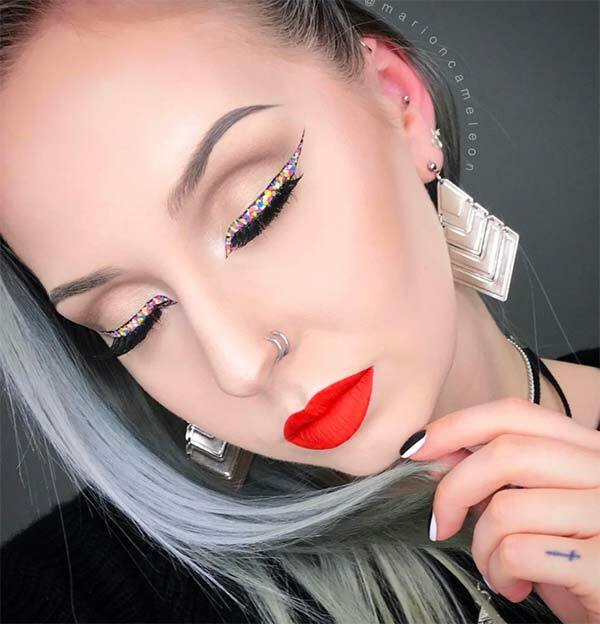 No matter what time of year it is, you can have that stunning snow-dusting around your eyes and lashes when you try out dotted eyeliner with a pure white shade. The white dots perfect the snowy look here by giving it that fluffy texture to finish it off. So dotted eyeliner looks stunning as the border for a cat eye, but it’s completely captivating as a filler for a wing. 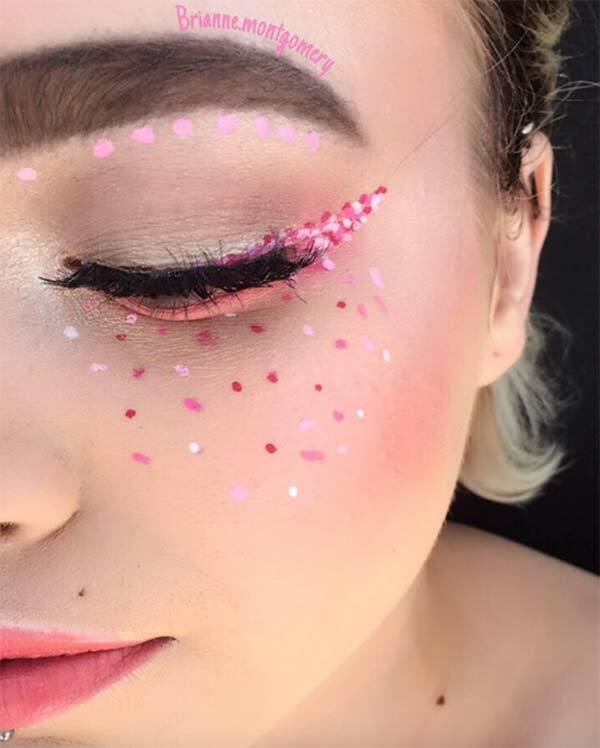 Using a mix of primary colored dots inside a defined border is the perfect way to add an explosion of color in a confined space so it doesn’t take over your whole look. This summery dotted eyeliner look is just what you need to celebrate the upcoming warm months. This looks shows that your dots don’t have to be perfectly small and round to have the same beautiful effect. These use different shapes and sizes around the eyes to show off the petal motif, from the eyebrows down to the cheeks. This smoky black base and these snowy white eyeliner dots are a match made in heaven. The look is edgy and borders on punk, but the stark white dotted eyeliner pulls it in a bit, providing glamour. The white subtly melds into the lightened skin on the upper cheekbones, giving extra depth and mystique. Your venture into the dotted eyeliner trend doesn’t have to include a lot of layers or planning ” sometimes it’s as simple as dotting up around your lashes a bit. 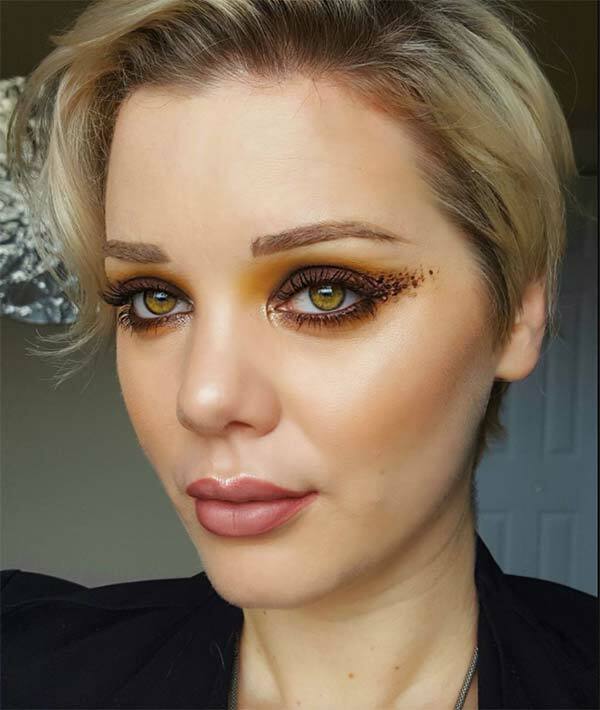 These snowflake-esque dots peek through the lashes. There aren’t many of them, but the subtle beauty and texture they add speak volumes. This option is earthy with an edge. The browns mix together for an overtly down-to-earth vibe, but as a whole look there’s this imagery of a cracking ground. It’s brought about by the darker shades mixing in the middle, but the look is so subtle that it could be worn with just about any style and look right at home. Definitely don’t be afraid to go bold with dotted eyeliner, because the result can be extravagant and truly stunning, like these Black Swan-esque feathers made with black, white and teal liners. 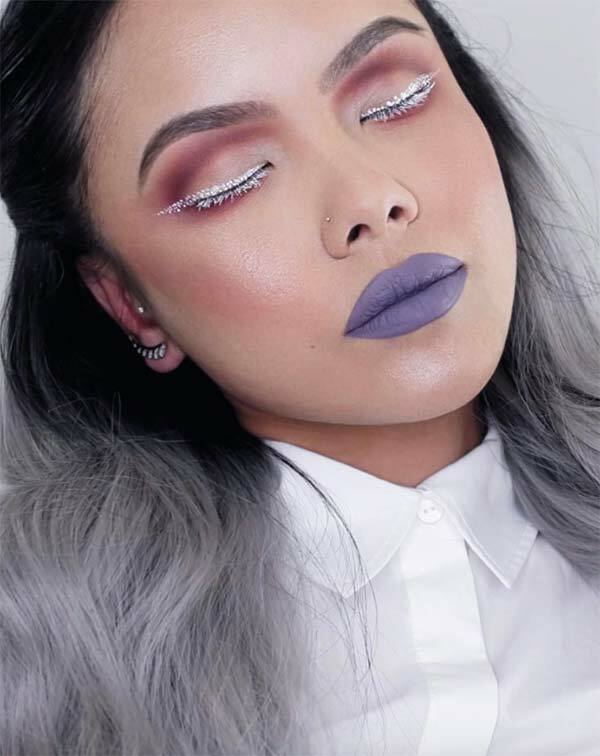 The detailing put into this more in-depth dotted eyeliner look makes for an almost 3D texture effect; what other trend could create a look that could be for a theatre costume as well as an everyday look? 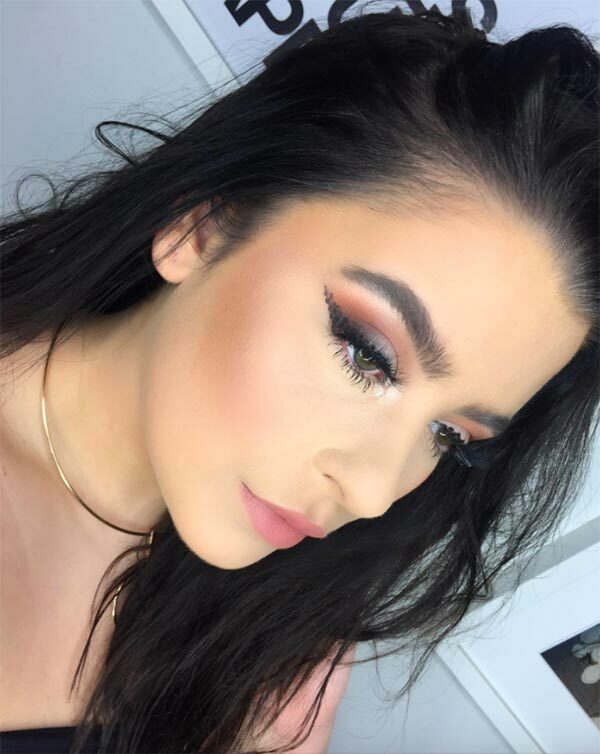 Some eyeliners already have beautiful texture and depth on their own ” like sparkles ” and using those to create dotted eyeliner looks is easy and can result in some fabulous makeup looks. 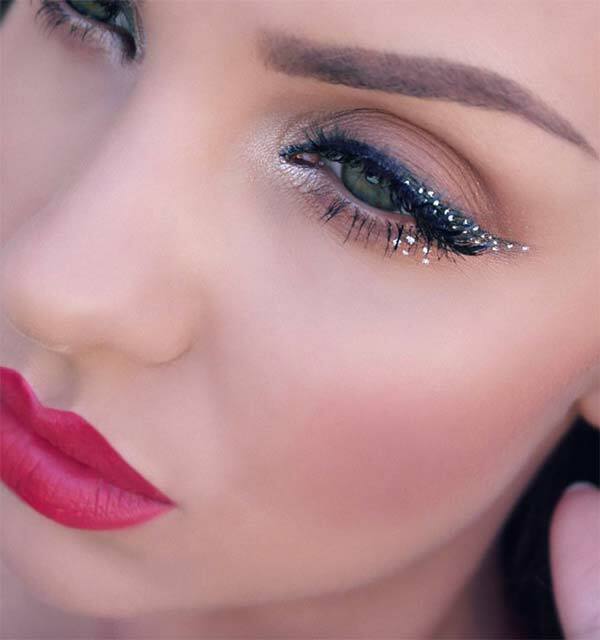 This one simply uses the sparkly dots around a brick red shadow base to open up the eye area for an exuberant look. 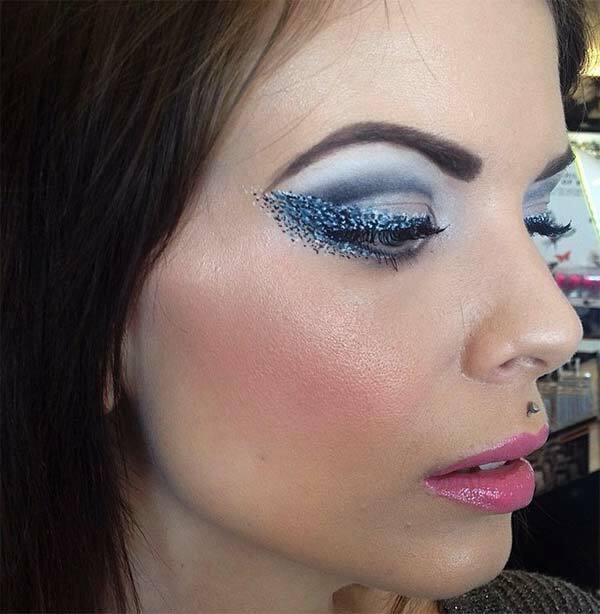 Using creamy shadow like this smooth white creates a lovely base for the simple black eyeliner dots. This is a simple dotted eyeliner look to pull off if you know just how to get that smooth wing to act as the base. The black and white look can easily tie into a ’60s mod style, but it can also translate well to modern looks based on how you style it.